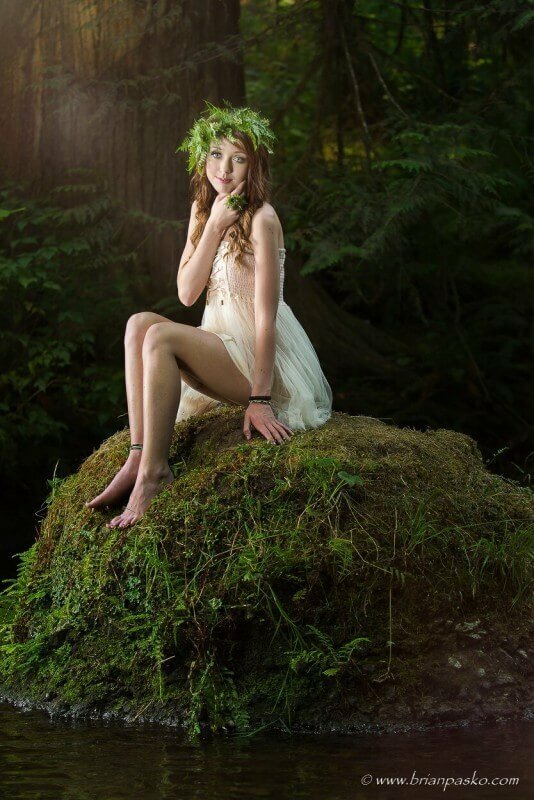 Bigfoot and Sasquatch might get all the hype out here in the Pacific Northwest, but I’ll submit that Oregon’s forest nymphs and elven princesses are much more fun to photograph! 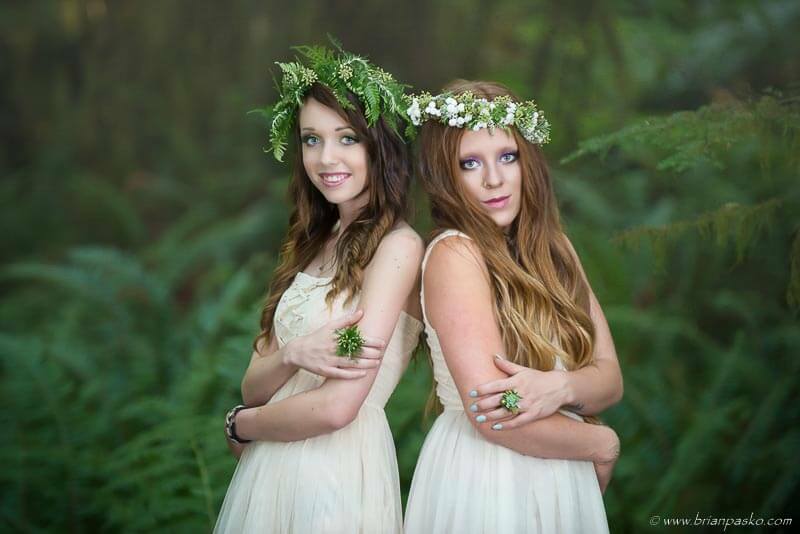 Here are some of the results of a really fun styled shoot that I had the opportunity to put together this summer. This all day portrait event was the product of a shared vision and meticulous planning. 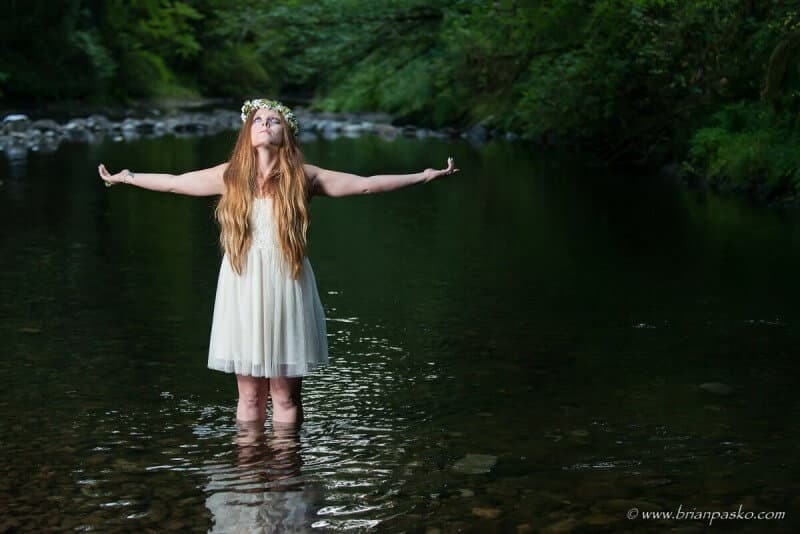 It took months of research and scouting before we settled on the perfect location for the shoot in Eagle Creek, Oregon where we were surrounded by lush old-growth forest and beautiful mountain streams. 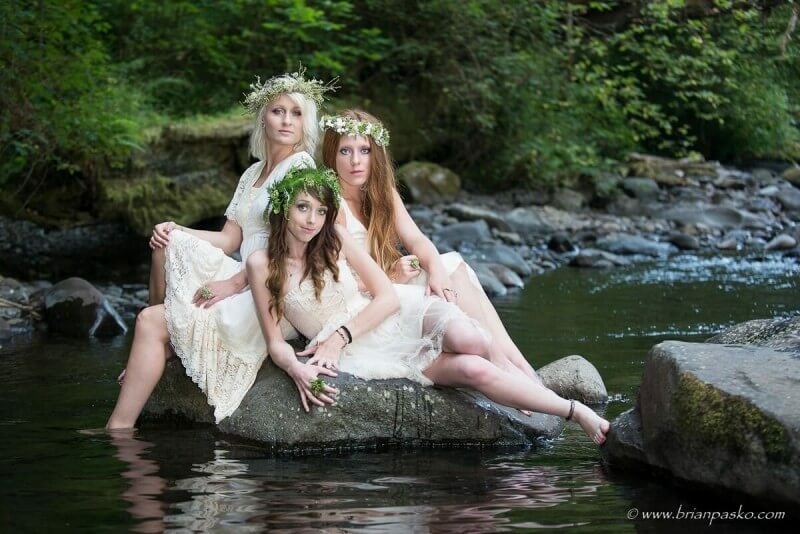 Our vision for this shoot also involved recruiting a unique set of models – those blue eyes and the mix of blond, brunette, and red hair colors didn’t occur by chance. 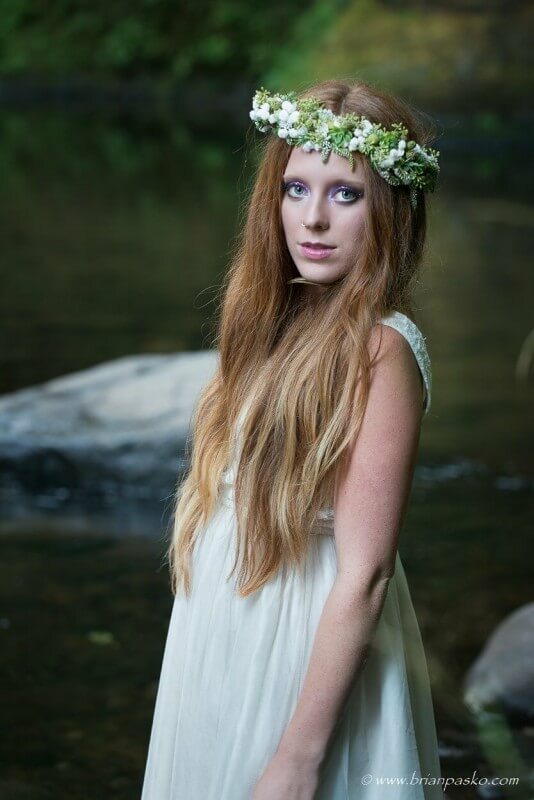 We knew we had found the perfect crew when one of our models, Amanda, began showing off her Lord of the Rings tattoo! And of course there were the finishing touches. As usual, Sasha Steifel of Sasha Steifel Makeup Artistry took hair and makeup design to a new and polished level. 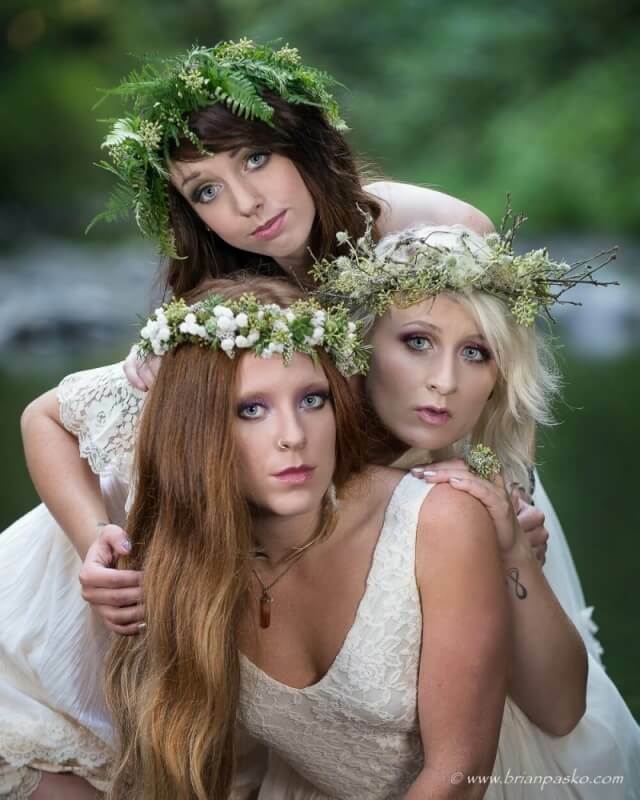 And, Lora Losinger of Sophisticate Floral Design developed the exquisite set of floral crowns and rings that you see below. So what’e the point you might ask? Well, styled shoots like this one can be a lot of fun, but they also inspire creativity in photographers and demonstrate what’s possible in any portrait session. 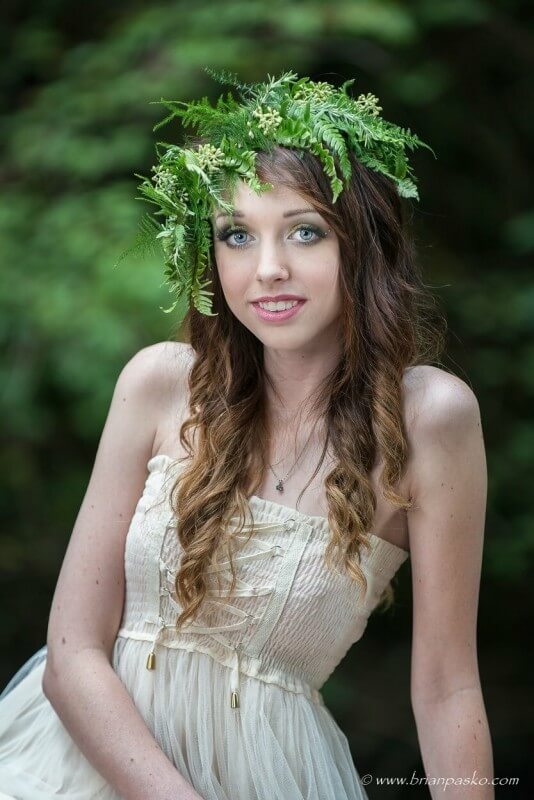 For example, think about how one of Lora’s beautiful floral crowns could create a unique high school senior portrait unlike any other. Or, imagine how fun and memorable a family shoot would be if everyone got to dress up as kings, queens, princes, and princesses. The possibilities are endless and anyone can pull it off (this stuff certainly isn’t just for models)! Are you looking for portraits that are full of fun and creativity? 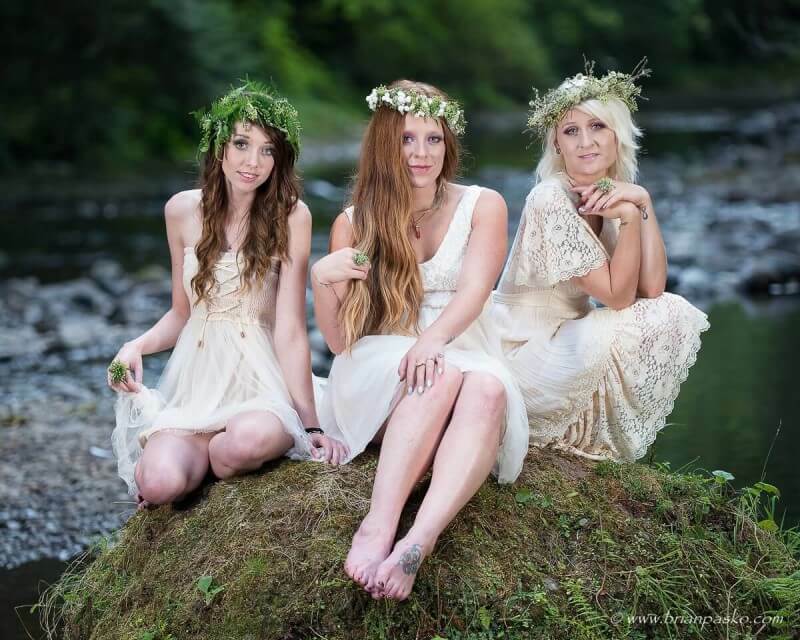 Kim and I have the experience, connections with vendors, and the enthusiasm to help you and your family design the perfect styled session and help you take your ideas and make them a reality! Yes, Oregon is a beautiful place!